Here’s a quick video that demonstrates the installation and use of a moisture quilt for winter insulation and ventilation. All of my moisture quilts are built differently because I’ve never put much planning into building them (I have zero woodworking skills). Some are converted ventilation rims that require a rim underneath, like the one in this video. Others have built in rims as part of the design. Some fit perfectly and create a tight seal on the bottom. Some don’t. 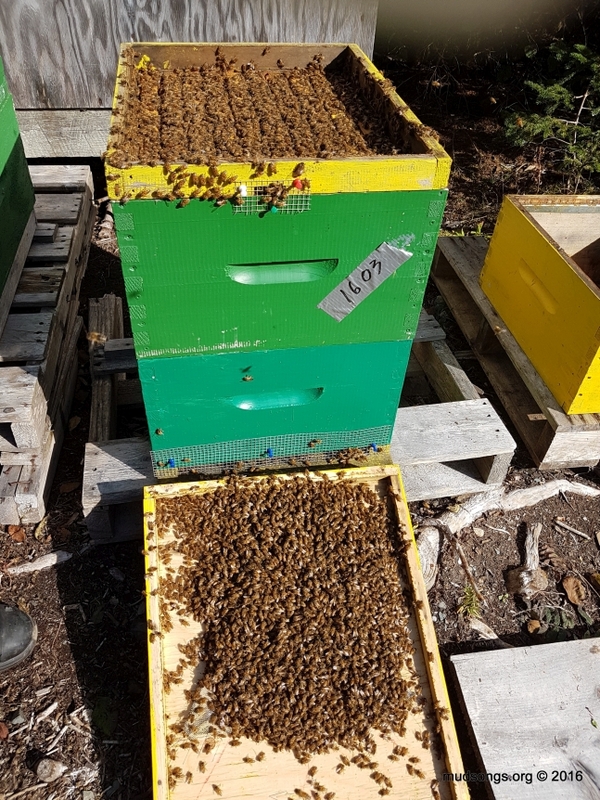 And it doesn’t seem to matter either way because they all do a great job at wicking moisture out of the hives and keeping my bees dry all winter. Moisture quilts, in my experience, aren’t necessary in local climates that aren’t particularly damp and foggy and wet. 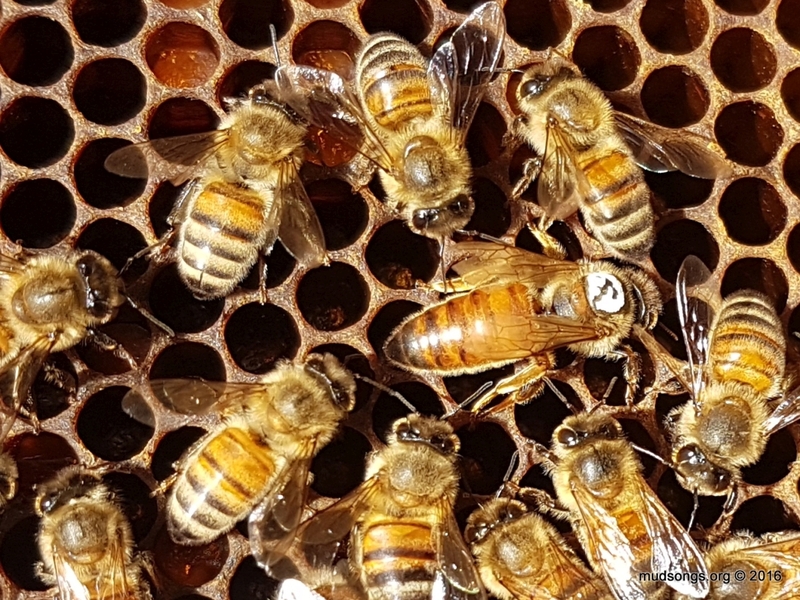 Smaller colonies that don’t produce much condensation from the bees’ respiration don’t always need extra ventilation or insulation either. A piece of hard insulation over the inner cover often does the trick. Moisture quilts can be a bit scary, too, when it seems like half the colony on warm days attaches itself to the bottom screen of the quilt. But for me the pros outweigh the cons. If dampness is a problem inside any of my hives, I know a moisture quilt will fix it. Empty moisture quilts are excellent ventilation aids in the summer too. Here are some quick snapshots I took this morning of my hives using an infrared camera device attached to my cell phone. It doesn’t provide the most helpful readings at the moment, probably because it’s not cold enough outside to highlight the heat that’s radiating from the insides of the hives. I also used the default settings on the device. More precise calibrations might provide me with better images. 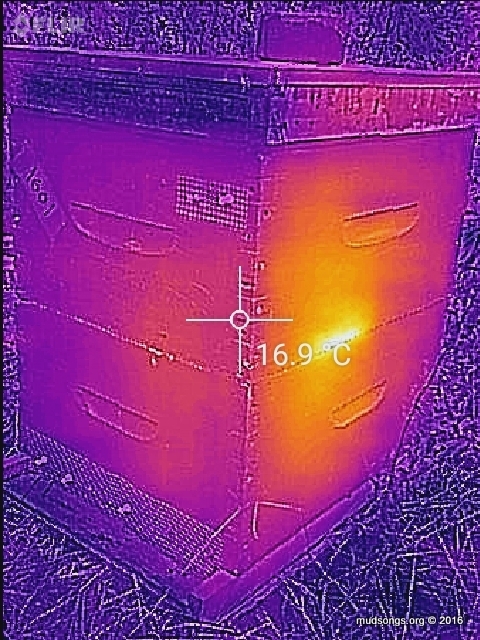 But for now, here are my best guesses about what’s happening inside my hives according to these infrared images. I know it’s horrible of me to complain about having too many bees, but man oh man, I’ve never seen so many bees packed into a single hive so late in the year. Last year I posted a video of a simple modification I make to hive top feeders that prevents bees from drowning in them. 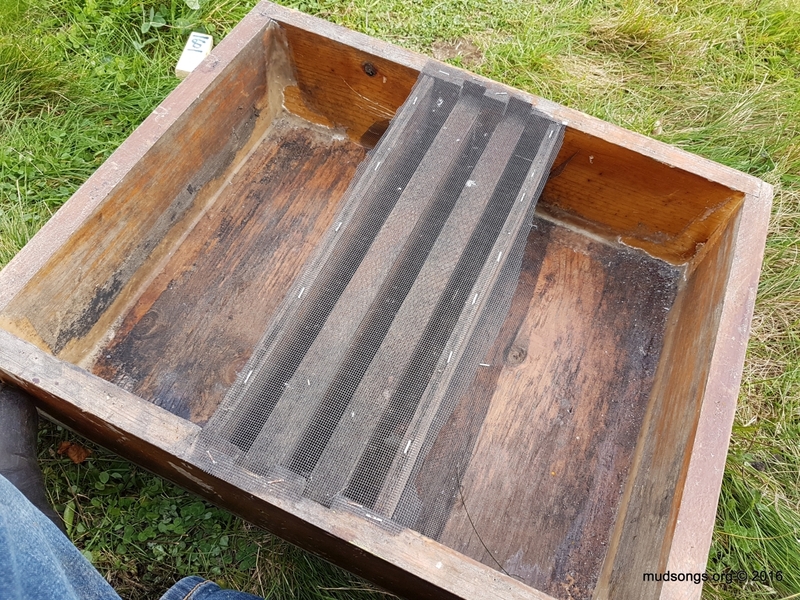 I staple screen over the syrup reservoirs and along the bottom edge inside the reservoirs so there is no way the bees can get into the reservoirs and drown. And guess what? It works.